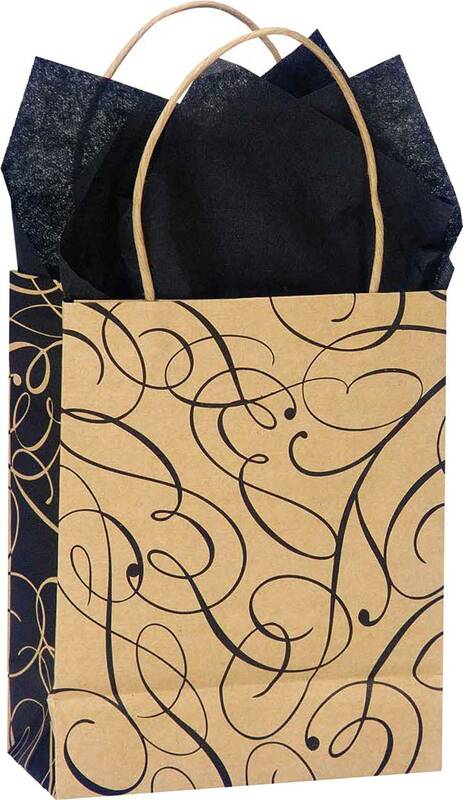 Gold craft paper bag with a fancy black pattern. The bags also come with black tissue paper. Size: 4”x 5”. Sold in packs of 100.